This is it, folks. The Fringe Finale is upon us. Throughout its run the show has transcended television and became something more, the medium that united so many wonderful people and made all of us a little bit better. 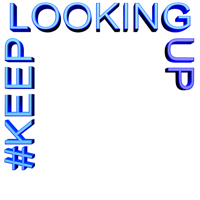 To celebrate the 2-hour finale, (FOX 8/7c), Fringenuity and all of its supporters will tweet the hashtag: The Fringe is ending but we are still here, and we (#)KeepLookingUp.